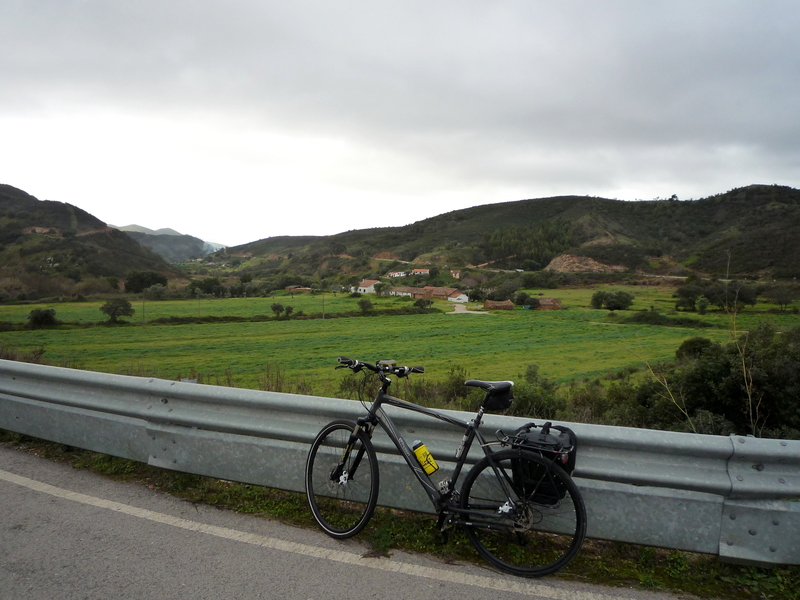 I had a tough but wonderful ride into the hills of the Algarve today as I continue to check bits of the route for the next Pedal Portugal guidebook – which is going to cover the western half of the region. Although I’ve ridden quite a few of the roads involved (and am getting lots of guidance from fellow cyclist Andy Smallwood), I don’t know all of them and I’d hate to be accused of sending people up climbs I’m afraid to tackle myself! So this morning I hopped on the train to Silves and followed the section of my Algarve Adventure touring route that goes from Silves up into the Serra de Monchique. 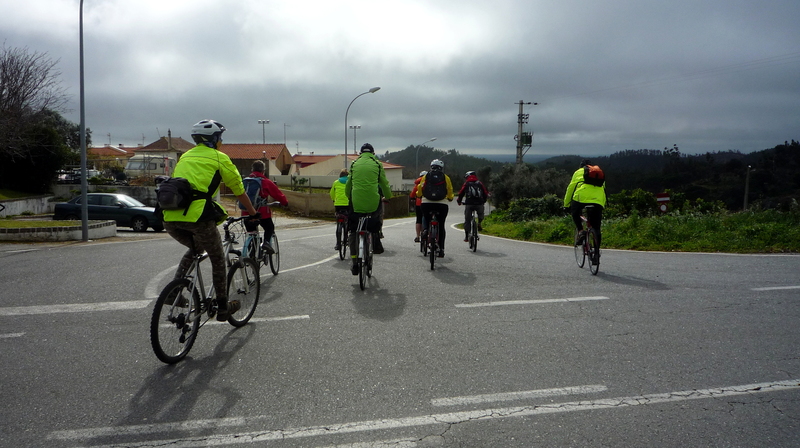 The first part was easy – about 21km going west from Silves and up the Odelouca valley. The weather wasn’t so good as a couple of days ago – I could see the cloud sitting on the hills and some of them looked pretty black. The next part of the ride was also a lot tougher. About 5.6km (3.5 miles) of almost continuous climbing, from nearly sea level to about 430m above – I think this works out as an average gradient of just under 8% but some bits were certainly steeper! After that, though, it was a lot easier and the scenery was stunning. 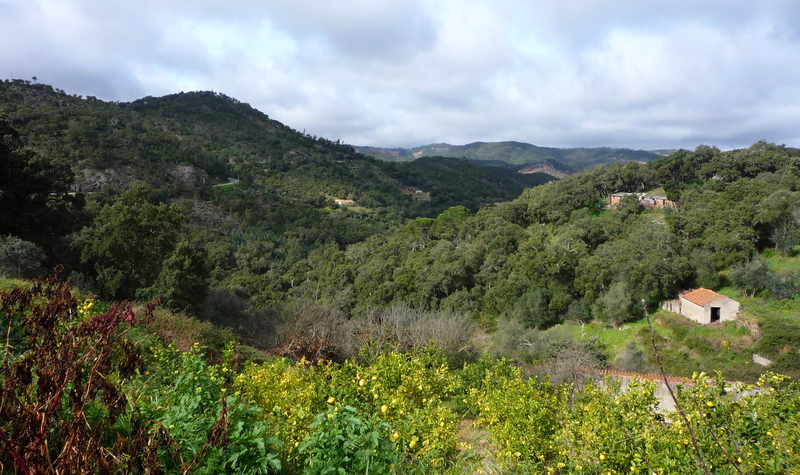 Up and over to a village called Alferce for another coffee and then a winding road around the hillsides – mostly flat or slightly downhill – to get to Monchique. A bit of a descent and then another gorgeous section of contour-following as I headed west. The scenery was gorgeous and (apart from the bits where I was panting madly) I was cycling along with a big grin on my face. Lots of orange and lemon groves, small farms, eucalyptus forest, cork oak trees and hillsides covered with cistus and other scrub. Lots of birds around and hardly any traffic – and apart from a spot of drizzle I stayed almost dry. I’ve got a terrible confession to make. I bumped into another group of cyclists (from my former home in Cornwall) and sent them on a wild goose chase. It’s all down hill from here… except for when you get sent the wrong way! If anyone’s interested in the route I took (about 77km), take a look at the map below. A very informative and useful post. 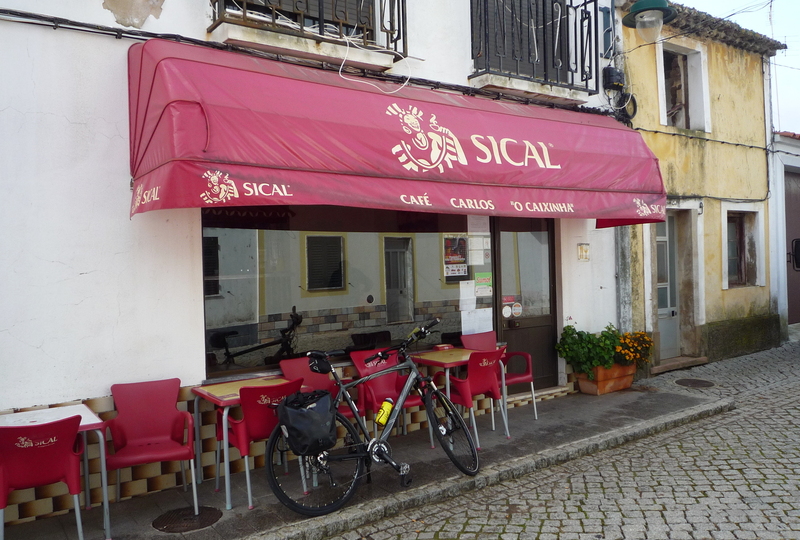 I may not visit Portugal for cycling and at the same time I enjoyed the way it is written. Thanks. Whether you come next year or some time way in the future, it’s worth putting on your list!